Participants of a joint meeting held by ILRI and FAO to discuss control of Peste de Petits Ruminants (PPR) in Kenya (Photo credit: ILRI/Samuel Mungai). Peste des petits ruminants (PPR), also known as ‘goat plague’, is a highly contagious viral disease of sheep and goats. The disease causes heavy losses especially in goats and is one of the most damaging livestock diseases in Africa, the Middle East and Asia. Earlier this year, a global strategy towards eradicating PPR by 2030 was formulated under the auspices of the Food and Agriculture Organization of the United Nations (FAO) and the World Organisation for Animal Health (OIE) at a conference in Côte d’Ivoire. The strategy focuses on the eradication of PPR, strengthening of veterinary services across affected countries, and the creation of more cost effective opportunities to control other priority livestock diseases. The strategy proposes a consistent approach at national level towards PPR eradication which is based on four main stages ranging from the epidemiological and socio-economic assessment of the disease, to when the country can provide evidence that there is no virus circulating in the country. The Kenyan government is currently developing its national strategy towards this global PPR eradication strategy. 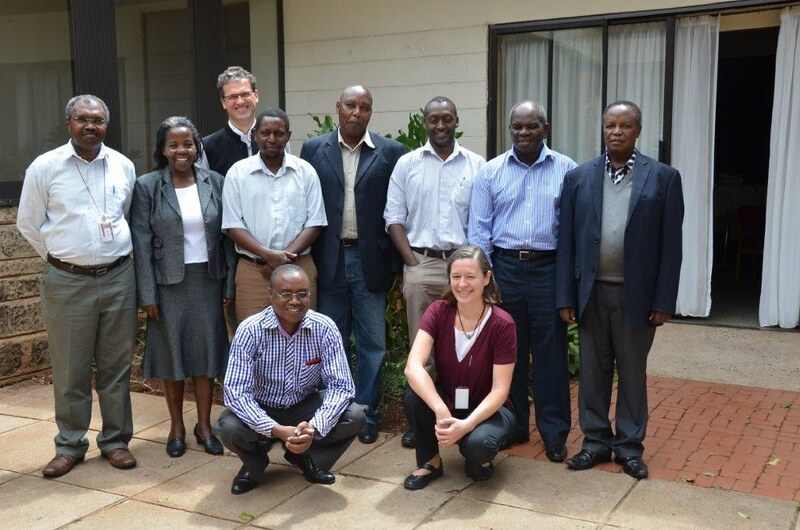 On 7 October 2015, the International Livestock Research Institute (ILRI) and FAO held a joint workshop with Kenya national and county veterinary service providers, to discuss the various components of a national PPR control strategy. Participants also included a representative from the African Union Inter-African Bureau for Animal Resources (AU-IBAR). The first phase of implementing the global strategy starts with an assessment of the status quo of PPR in a country and an evaluation of various control approaches. Accordingly, the workshop focused on determining the current incidence and prevalence rates of this deadly disease in seven semi-arid target counties and formulating scenarios for estimating costs and benefits of various control strategies. It emerged that county governments are implementing widely differing approaches towards PPR control. Participants recommended an investigative study that would offer a better understanding of the details and effects of these different approaches in addition to supporting the national dialogue on PPR control.